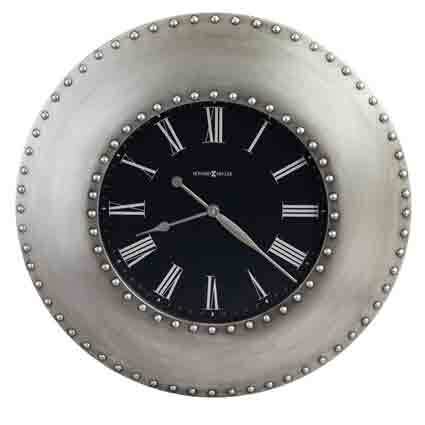 The Howard Miller 625-610 Bokaro Large Wall Clock will look great in any modern home with rustic accents. This 33" metal wall clock features an antique nickel-finished frame is 7" wide and curves down from the 19" wide dial to the wall descending 3" in depth. The frame also features 100 decorative nail heads in two rows one on the inside of the frame and one on the outside of the frame. The stunning black satin dial has silver Roman numerals and hands. 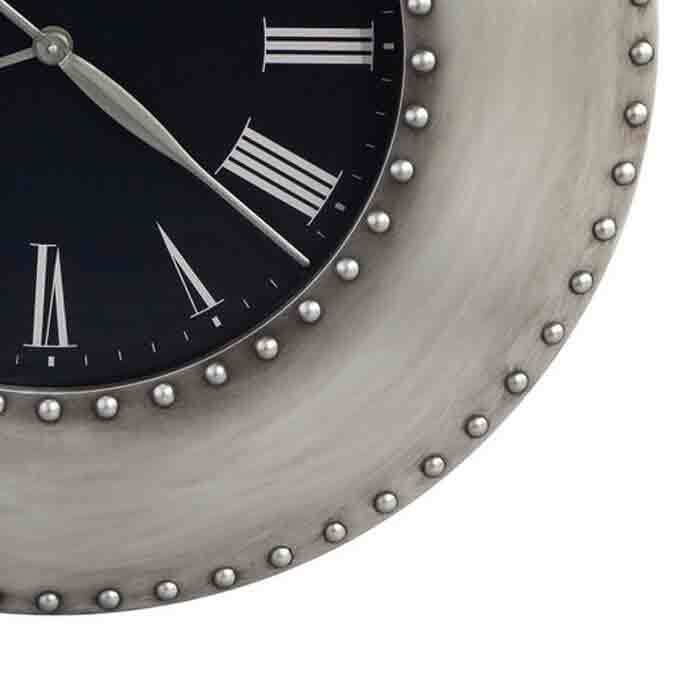 The silver minute markers on the outside of the face help make this clock easier to read. The Bokaro has a glass crystal that accentuates the dial. The accurate Quartz movement is operated by one AA battery. Size: Diameter 33", Depth 2.75"
Clocks for sale at The Clock Depot including the 625-610 at discount prices.